Whether you're gaming online in a heated competition or streaming a live event in 4K UHD, lag and buffering are simply not an option. 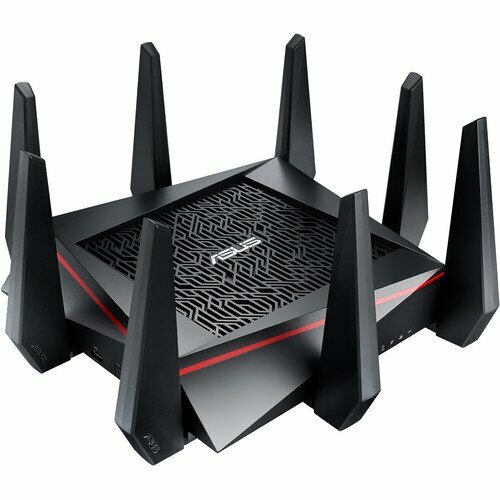 NitroQAM (1024-QAM) technology on the RT-AC5300 delivers a combined 5334 Mbps Wi-Fi speed, ensuring everyone on your network can enjoy smooth streaming and low-latency online gaming. Ping time and variance are critical technical parameters that affect responsiveness in online gaming, and their values depend heavily on the route game packets take to and from their destination. The Gamers Private Network (GPN) from WTFast automatically performs route optimization, choosing the most efficient route for game packets, resulting in consistently-lower ping time and minimal packet loss. 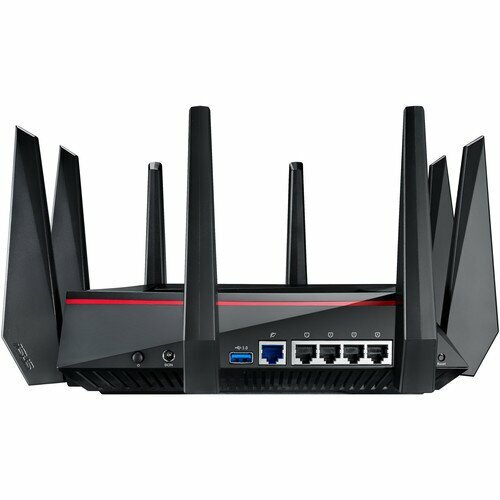 With RT-AC5300 this optimization is free for accelerating one selectable device at a time, so you can enjoy the results on supported competitive multi-player online games. Network speed impacts every device you game with on every platform you game on. The ASUS RT-AC5300 delivers bandwidth and coverage for all your gaming devices, from consoles to PCs to mobile devices*, and supports every operating system, including Windows 2, Mac OS and Linux. Boost your gaming bandwidth with Adaptive QoS (Quality of Service), which allows you to easily prioritize gaming packets and activities. 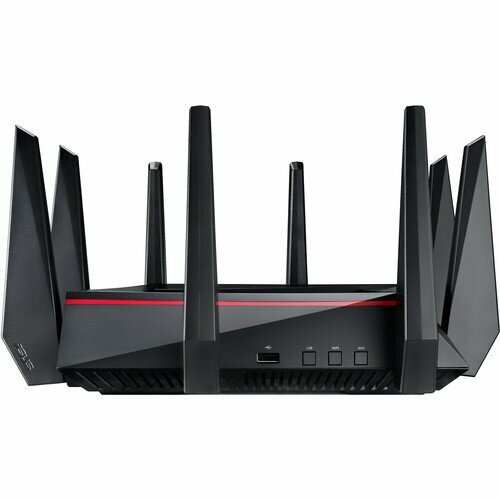 You can even assign full dedicated bandwidth while gaming under gamer solo mode, making RT-AC5300 the perfect ally for low latency gaming anywhere in your home. It supports major consoles including PlayStation 3, PlayStation 4, PS4 Pro, PlayStationVita, Wii U, 3DS and Xbox One. 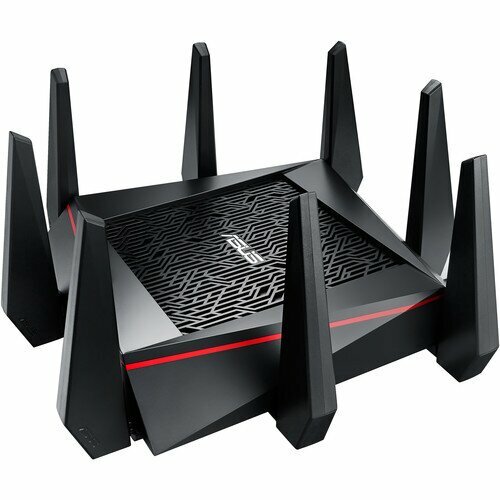 Having an ASUS RT-AC5300 is like having three wireless routers in one. The two separate 5 GHz wireless bands - each with speeds up to 2167 Mbps - and the single 1000 Mbps 2.4 GHz wireless band all work simultaneously. This means you can enjoy lag-free online gaming, smooth 4K video streaming and uninterrupted file downloading on every device connected to your home network.